Enhance your courses with videos from any of three sources: video files, websites, and webcams. We'll take a look at each method below. 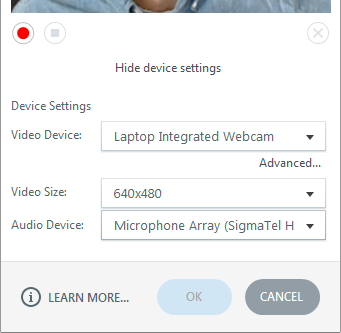 Go to the Insert tab on the ribbon, click the Video drop-down arrow, and choose Video from File. 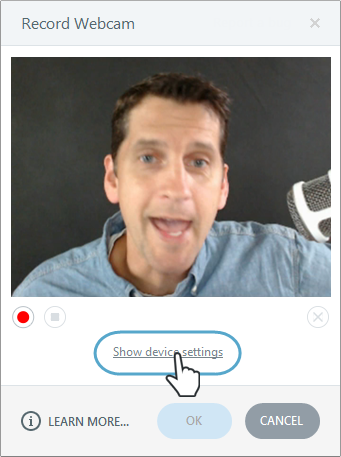 If you're in Form View for a question slide, you can also go to the Home tab on the ribbon, click the Media drop-down arrow, and choose Video from File. Tip: If your video placeholder is hard to see (it could appear as a white, black, or transparent rectangle in Storyline), right-click it and choose Set Poster Frame. Then browse for an image file to use as the video placeholder. 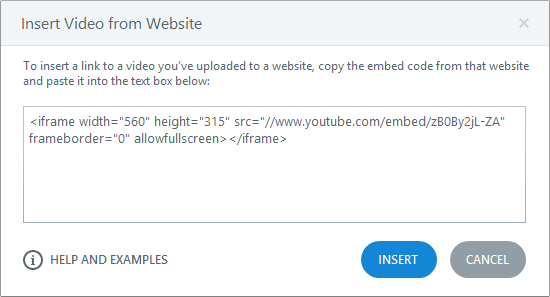 Storyline makes it easy to embed videos that are hosted on popular websites like Screenr and Vimeo. Note: As of May 2015, Google no longer allows YouTube videos to be embedded in this manner; however, YouTube videos in existing courses will continue to work. You can still add YouTube videos to new projects as web objects, which are supported in Flash, HTML5, and Articulate Mobile Player output. Go to the Insert tab on the ribbon, click the Video drop-down arrow, and select Video from Website. 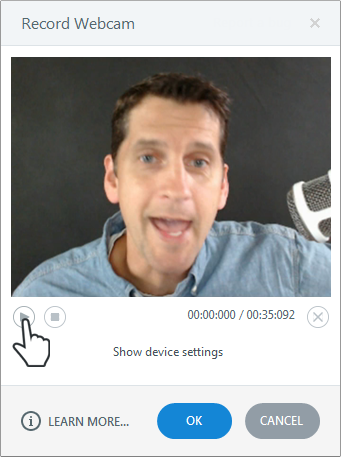 When you've finished recording your video, click the Stop button.